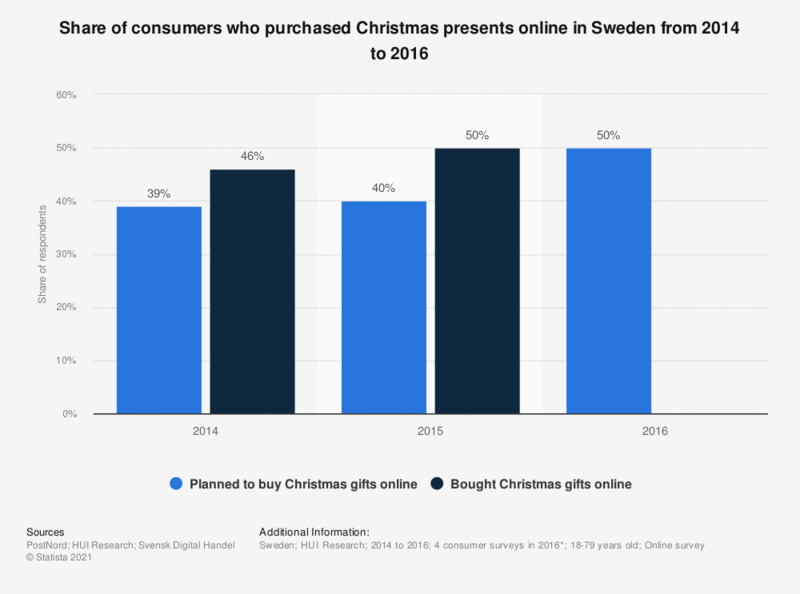 This survey shows the share of Swedish consumers who bought Christmas presents online from 2012 to 2015 versus how many planned to buy presents online from 2012 to 2016. In 2015, 50 percent of respondents purchased Christmas presents online. * Sources have conducted four consumer studies in Q3, 2016: August 1,686 respondents, September 1,651 respondents, October 1,603 and 3,001 respondents. Value for the share of consumers who bought Christmas gifts online in 2016 is missing because the survey was done before Christmas.